CALIFORNIA WITHOUT THE CROWDS, THIS CITY IS AMAZING. I didn't have any expectations coming to Portugal, but all I heard was success stories about people coming here and enjoying. It is as European as the next, but there's something much more relaxed and old San Francisco-ey about it than any other place. Located so close to the sea, sunny everyday, and the buildings painted bright pastels, you feel welcome and at ease the minute you walk off the plane. Food is fresh...Typical in its European way, you'll be overwhelmed with cheese, bread, and meats. But this coastal hugging city has fresh catch from the sea and fruit stands on every corner. TABERNA PORTUGUESE :: TRADITIONAL PORTUGUESE FOOD WITH GREAT WINE & SMALL SHARED PLATES (PETISCOS) IN BAIRRO ALTO. LA BOULANGERIE :: CHARMING FRENCH CAFE LOCATED OVERLOOKING LAPA ESTRELA IN ALFAMA. CRUZES CREDO :: LUNCH OR DINNER, LOCATED IN BAIXA NEXT TO THE FAMOUS CHURCH DE SANTO ANTONIO. TIME OUT MARKET :: I was skeptical at first, but this is a food court on steroids. if you dream it you can eat it. PASTEIS DA NATA :: HOLY MOLY, DESSERT OR WITH COFFEE OR WHENEVER. SO BAD BUT SO GOOD. My friends keep telling me to take the bus or tram, but just walk! 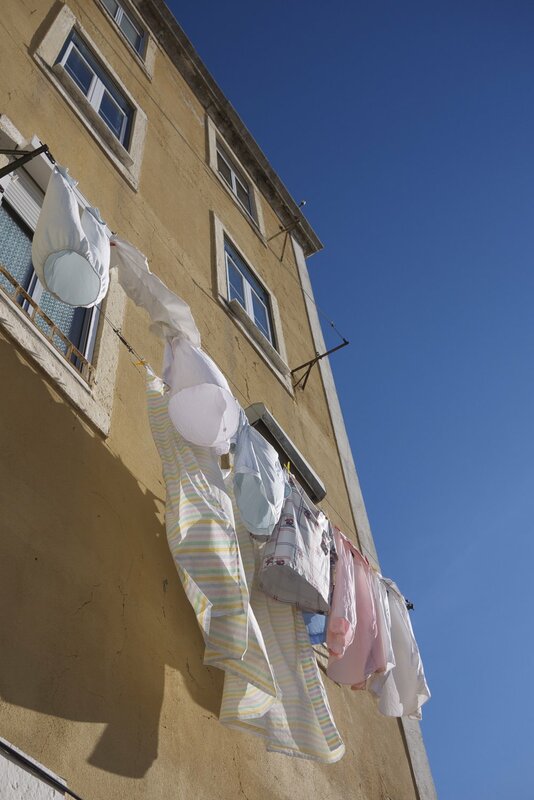 Alfama, Bairro Alto, and Alcantara neighborhoods are so charming with their pastel buildings, little alleyways, alley cats and plants. COUCH SURFING EVENTS :: for any travelers that need something to do. STREET ART :: ITS EVERYWHERE, TAKE A WALK. 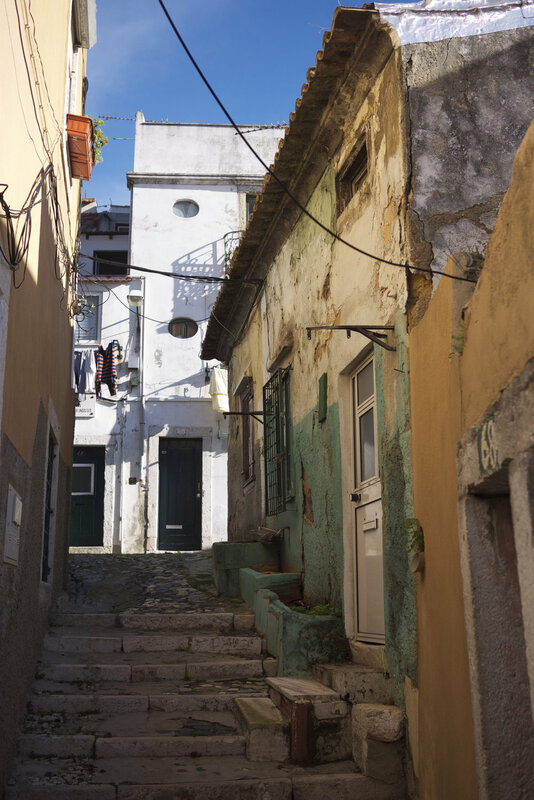 SINTRA :: VILLAGE IN THE MOUNTAINS WITH HIKING, MOUNTAIN BIKING, AND WATERFALLS.